Gideon Morik bends down before a neatly piled mound of red soil just beside his home. It’s the grave of his daughter, Anna. She was fourteen years old when she and her friends were gunned down on Christmas Eve. The dry breezes of the harmattan swirl around Morik as he speaks in low tones. “May your sweet soul rest in perfect peace,” he says. Morik remembers picking up her corpse and taking it to the mortuary. It’s a day that still haunts him. 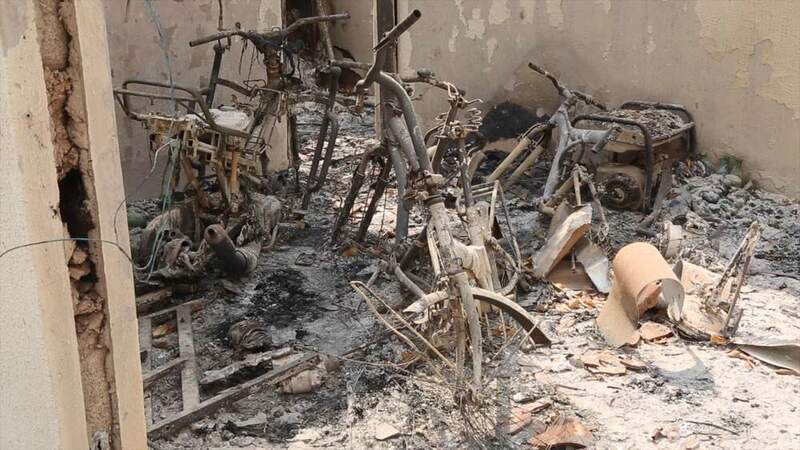 Children's bicycles in the burned-out remains of Morik's home. The men who shot up Morik’s community that day also set his house on fire. There’s a collapsed ceiling fan in the middle of the living room. Pieces of his children’s bicycles lean along a burned wall. The restroom is covered in rubble and shards of glass. Morik lives in a remote community of mainly Christian farmers called Goska. He’s a leader here, having served on the state and regional level. Goska is in the southern region of the northern Nigerian state of Kaduna. Southern Kaduna is a hotbed of sporadic sectarian strife. Politics, land rights and other disputes have fueled the violence since the 1980s. That’s when residents say Christians and Muslims started using violence to advocate for their communities. Hundreds of people have been killed in the latest bout of unrest that began in December 2016. The state government management agency says 204 people have been killed since December, but numbers are still being compiled. Morik does not know if he will ever see justice for Anna’s murder. Gideon Morik sits in what used to be his daughter Anna's room. She was in her bedroom when she heard gunshots outside in the evening of December 26. She fled out the backdoor, but it was already too late. When Morik saw his daughter’s bloodied body on the ground, he froze. Onlookers walk past a burned vehicle in Goska. That’s when police came. That’s when the assailants fled. But no one really feels safe. Morik’s cars were set on fire. In the house next to his, stray chickens strut around in a daze. The coop is still lying on its side and there’s no one around to pick it up - the homeowner fled Goska weeks ago, like many others. Abdullahi Jibril, a Fulani cow herder, says his three adult sons are missing. Goska sits in a valley surrounded by rolling hills where Christian farmers of various ethnic groups share the fertile land with nomadic cattle herders who belong to the predominantly Muslim ethnic group called Fulani. A Fulani herder leads his cattle in a pasture. The Fulani are a predominantly Muslim ethnic group. Conflict between Fulani cattle herders and Christian farmers is increasing as more cattle herders move south, often times entering farming land. Conflict is increasing to unprecedented levels here as more cattle herders move south, oftentimes entering farming land. Farmers accuse the Fulani herdsmen of allowing their cattle to trample and eat their crops. Fulani cattle herders accuse the farmers of killing their cattle. 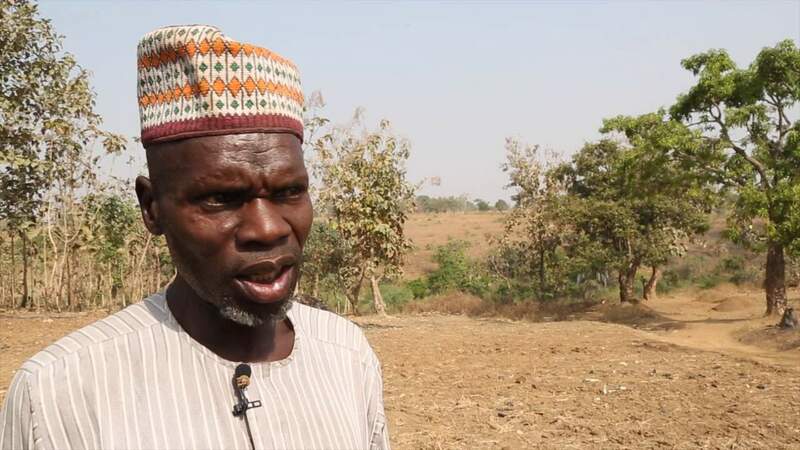 “We lost almost more than 6,000 cows,” says Haruna Usman, a Fulani leader and head of the Kaduna State chapter of the Miyetti Allah Cattle Breeders association. Usman accuses the Nigerian media of bias. He says that Christians, unlike Fulanis, have greater access to the media. “They will go to the media and say Fulani are killing them. They are the people causing all these problems, blocking roads. 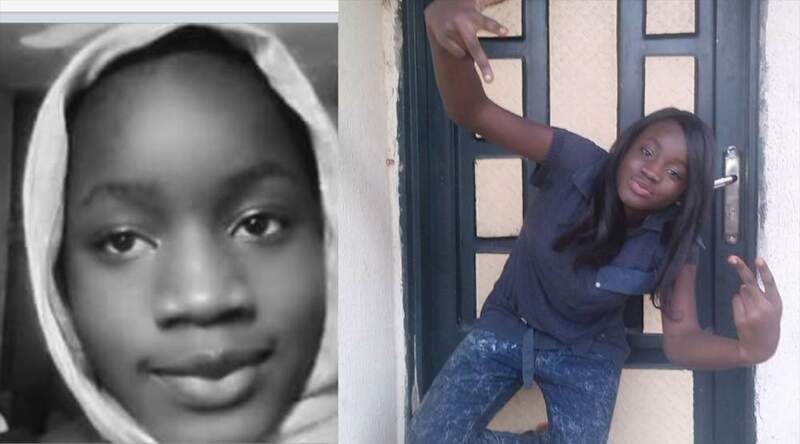 When they meet someone grazing his cows in the bush, they will just kill him,” Usman says. 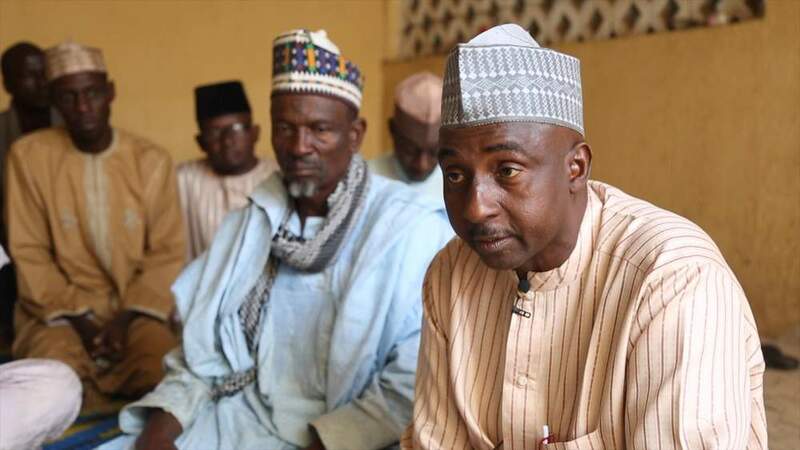 Haruna Usman, a Fulani leader and head of the Kaduna State chapter of the Miyetti Allah Cattle Breeders association, says more than 6,000 have been killed by farmers. Abdullahi Jibril, a Fulani cow herder, says his three adult sons are missing. They were last seen grazing their cows in a predominantly Christian neighborhood a few weeks ago. They are presumed dead. Jibril wants the government to compensate him for his losses. He says he also wants the Christians to stop killing Muslims. 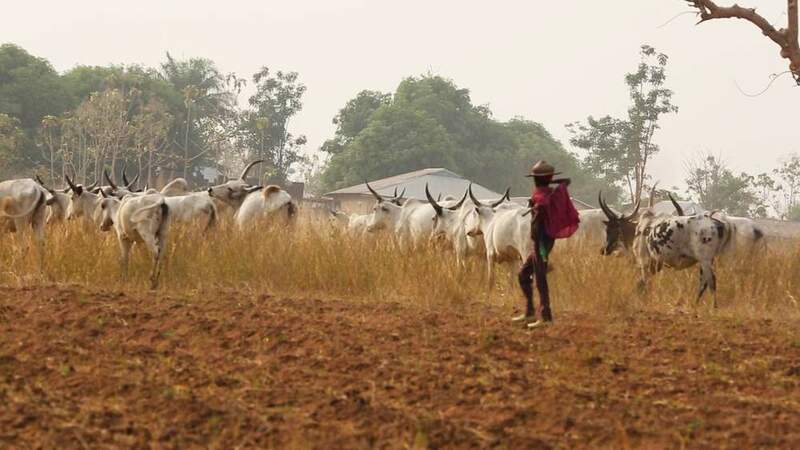 But there are deep-rooted suspicions between Christian farmers and the Fulani Muslim herdsmen, according to Agyole Abeh, the Kaduna state police chief. Abeh tells VOA that the police force is still investigating the attack in Goska. 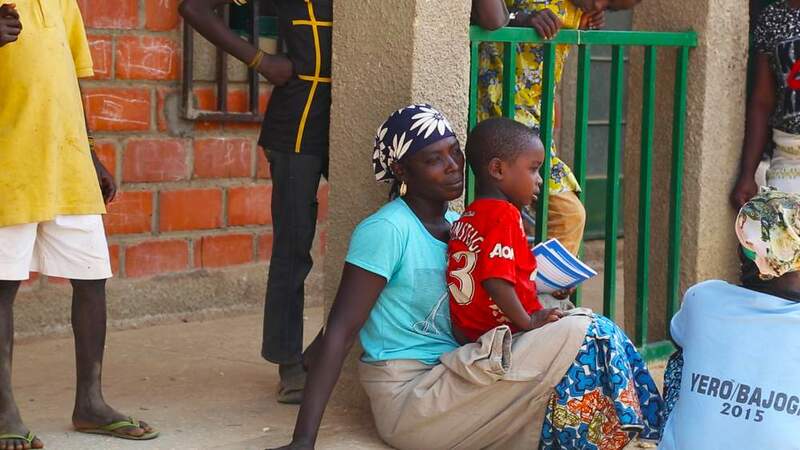 Binta Linus and her son Alfa at a relief camp in southern Kaduna. Linus says she watched Fulani cattle herdsmen slaughter her husband with a machete in January. They’re also investigating an attack on Dangoma, a few kilometers away from Goska. 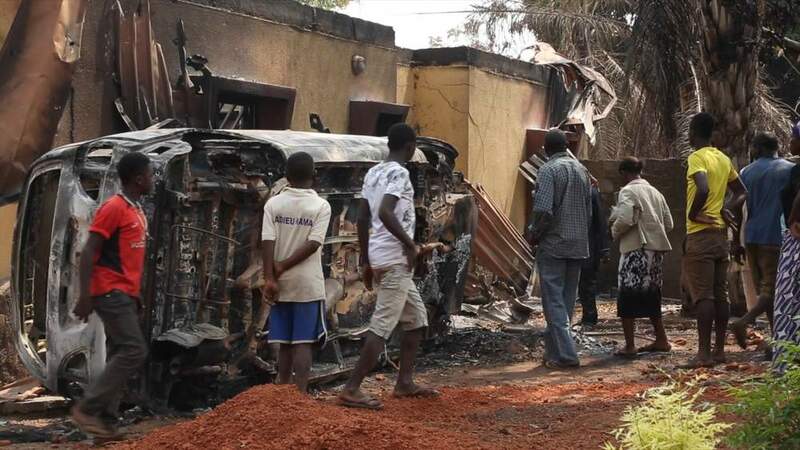 In Dangoma, homes belonging to Fulani families were razed to the ground on December 23 and December 26. “It was Christians from Goska who attacked the Muslims in Dangoma. Look at the houses, completely destroyed,” says Usman. 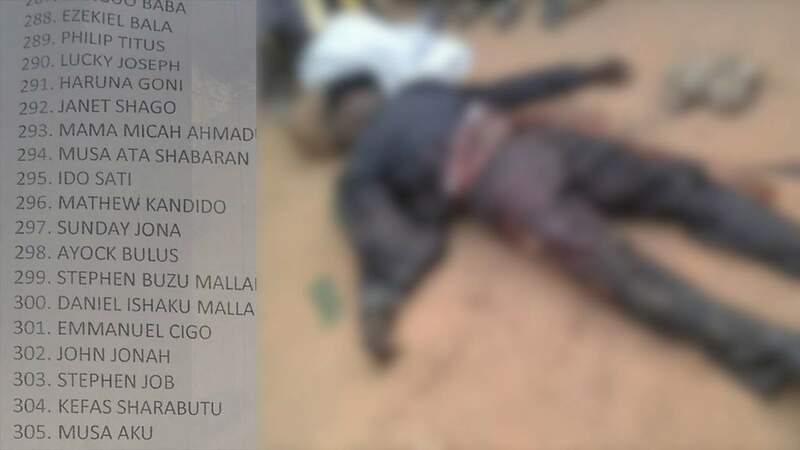 Several communities across southern Kaduna are nearly deserted except for elders who say they were too weak to run away when an attack happens. It’s not difficult to find bullet casings in the dirt. The ones who do summon the strength to run away sometimes go to makeshift relief camps. Ndi Kato, an activist from southern Kaduna, meets with children in a relief camp to distribute free notebooks. Binta Linus holds her son, Alfa, on her lap. She’s waiting to get food donations at a camp set up by a Christian pastor named Gideon Mutum in Takau Primary School’s yard. “For them, this place is actually like a safe haven because they lack food. They lack clothing. If you actually beg them, in the nearest possible time to go back to their villages, they’re not ready,” Mutum tells VOA. Linus says she watched Fulani cattle herdsmen slaughter her husband with a machete in January. In the afternoon, Linus joins a line where Mutum and his wife distribute packages of noodles and juice. In another line, Alfa reaches for a free notebook to use when he eventually goes back to school. 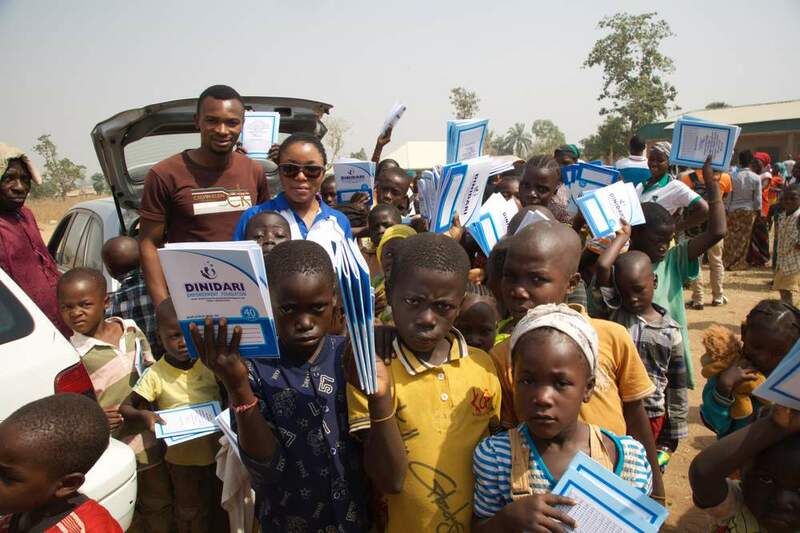 Ndi Kato, a 26-year-old native of southern Kaduna, passes out the notebooks for children. She’s an activist and founder of the Dinidari Empowerment Foundation. “There is something happening here. And as long as you’re not paying attention, this thing is going to keep on happening and nothing is going to be done to relieve people of the pain they’re going through,” Kato tells VOA. The violence is colored with religious hues - Muslims and Christian leaders blame the other. 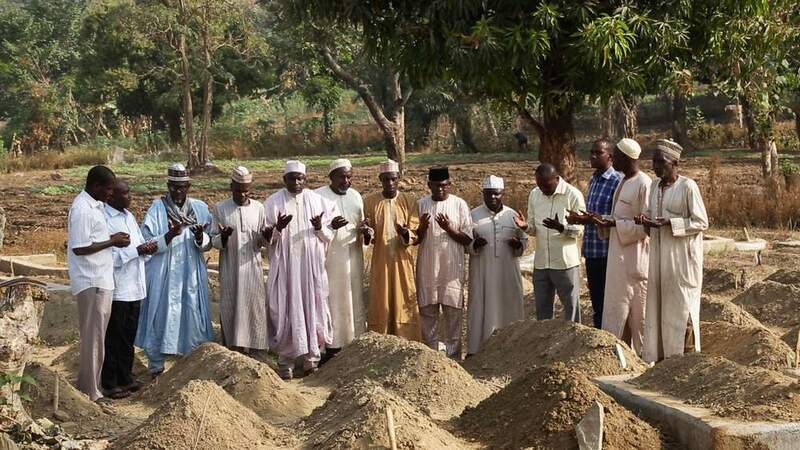 In a graveyard in Jema’a, southern Kaduna, Fulani cattle herders and other Muslim leaders pray for members of their community whom they say were killed by Christians. Rev. 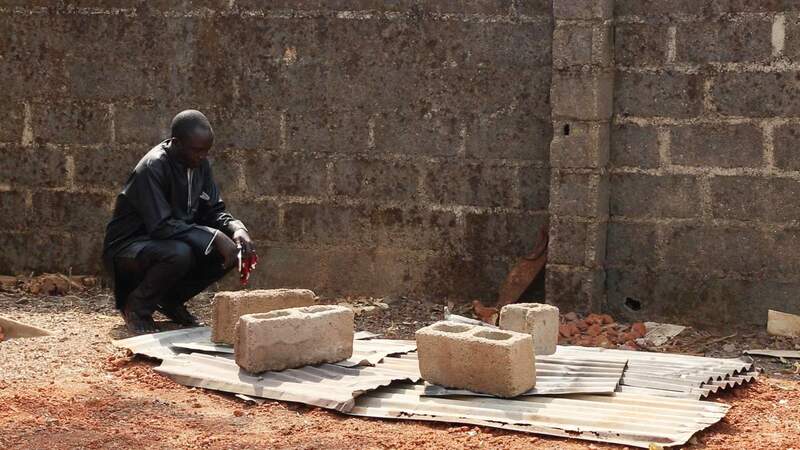 John Mark Chitnum of the Roman Catholic Diocese of Kafanchan, tells VOA about 800 Christians have been killed in southern Kaduna in the past two years. “You can go and count from the graveyards, you can go. Even the bones are still there,” he says. In December, Christians gathered on these streets to hold a peaceful rally. But the rally turned into a riot. Meanwhile, Muslims clerics are demanding the arrest of Christian leaders who they say are spreading incendiary messages to their followers. 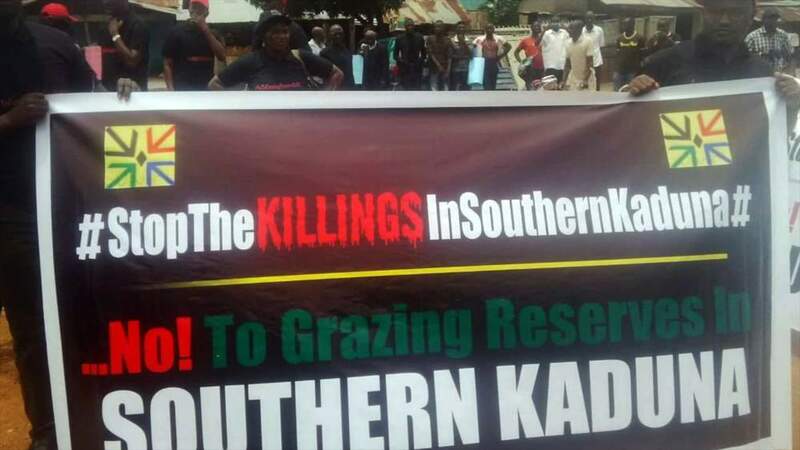 An August protest against Fulani herdsmen in Kaduna State. “Most of these people actually called onto the people of southern Kaduna to take up arms to protect themselves. 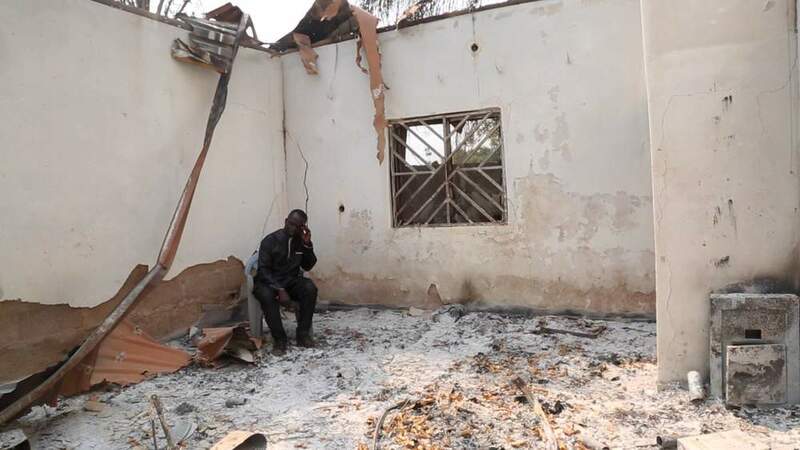 We’ve seen these people go to the media to tell their people to pick up arms,” says Sheik Usman Abubakar Babatune, the chairman of the Kaduna State Council of Imams and Ulama. The killings have stopped in the past few weeks as police, soldiers and personnel from the nearby Nigerian Air Force base monitor the area. But no one has been prosecuted in connection with the recent violence. Communities are left to mourn and pray for peace.